Hello! My name is Denise Trombley, originally of Century 21 Trombley Associates. I have owned and operated Century 21 Trombley Associates for 13 years. 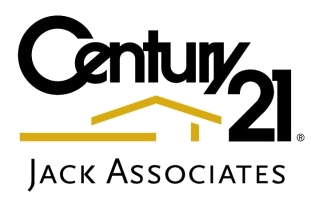 In 2013, I wanted to offer more exposure for my clients and decided to merge with Century 21 Jack Associates, the largest Century 21 company in Vermont. I am thrilled to be a part of their team and am now the 10th Century 21 Jack Office! I am a co-owner of the Morristown Branch. I am a native Vermonter and have resided in the Lamoille County area most of my life and absolutely love it. I have raised 2 lovely children here. Both children are now married and have chosen careers in Accounting! I am proud to have a sweet grandchild who is a new addition to the family. I so enjoy the quality of life Vermont has to offer. It is a wonderful place in which to live, raise a family, work and play! I especially enjoy 4 of the 5 Seasons in Vermont. If you are unaware of the 5th Season....let's chat! Whether down hill skiing, cross country skiing, snowmobiling, snow shoeing, skating, hiking, camping, swimming or boating--- Vermont is an amazing place in which to experience all of the great outdoor adventures. Having been in real estate for over 22+ years, I feel that I have a tremendous amount of experience to offer. I love working with people to help them achieve their goal of home ownership and/or assisting those looking for an investment or those wishing to sell. I have been a top producer in Lamoille County & Century 21 Jack Associates- selling the most residential homes in the area and also was voted Realtor of the Year and received the Good Neighbor Award. In 2018, I was the #1 top selling agent for my local board, Lamoille Area Board of Realtors and for Century 21 Jack Associates, as a sole agent, selling over 13 million dollars in real estate! This is an achievement I am very proud of. Being #1 in residential sales, I have come to appreciate the time & knowledge necessary to assist every Buyer and Seller. My passion is working with people and connecting them with the "right" properties. I work very hard to meet the needs of all of my clients. I do more than help you: Search, Find and Buy. I : listen so that I can evaluate your needs, assist with financials -connecting you with lenders & attorneys, educate you regarding the market, show properties, advise, prepare an offer, negotiate , and assist with inspections and coordinate with all parties involved. I am with you every step of the way --- right up to receiving/giving the keys! I always strive to provide you with the service you deserve.....THE BEST! I am here to help you navigate real estate in TODAYS market. I look forward to meeting you and turning your real estate selling and purchasing dreams into reality.